Compatible with all Supernova lights equipped with the Multimount bracket. Thoroughly tested off road the two axis adjustment options allow for perfect beam alignment. Its also easy to remove the light quickly to prevent theft. Supplied with two UV resistant O Rings - 25.4 mm and 31.8 mm. Its also possible to fit this bracket to the stem. Unfortunately this item would not work with the Nitto Lamp Holder 4 as the bands are for 25.4mm & 31.8mm diameter bars, they would not clamp holder as they would be too loose. Mounting an E3 Pro below the drop handlebars. Can this mount be used to position an E3 Pro below the drop handlebars of a touring bike? And would the light be upside down? This bracket could indeed be used to mount an E3 Pro light below the handlebars. I'm afraid that these are the only Supernova handlebar mounts we do. Could This For With B&M Dynamo Lights? 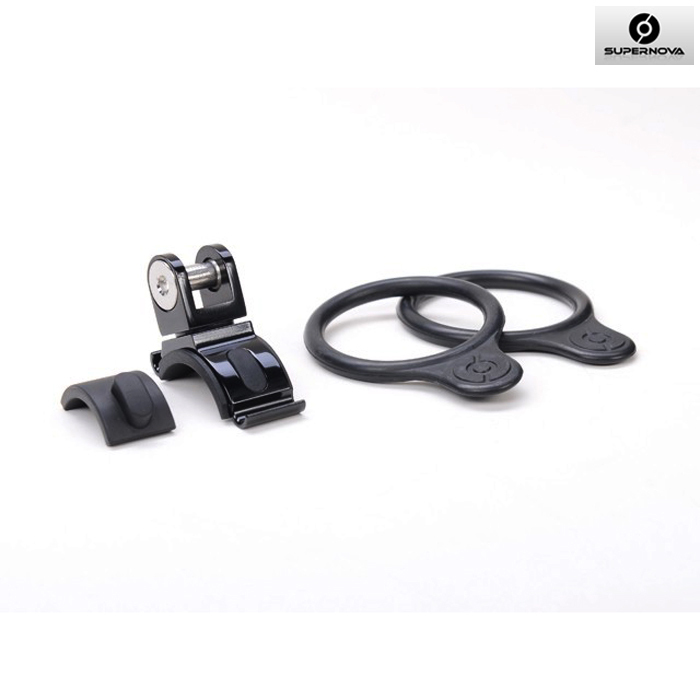 The dimensions of the fittings are the same so you could use this handlebar clamp with B&M lights if you wanted to.